This is a two-part recipe. To find Part 1, the Cashew Nut Yogurt, I invite you to visit my friend Jessica over at Delicious Obsessions. Jessica is holding a weekly series all year long called 52 weeks of Bad A** Bacteria and I am guest posting at her blog today for Week 13 with my recipe for Cashew Nut Yogurt. I'll warn you ahead of time, this recipe has a lot of steps, but it is worth it. I'm using a new format for recipes, and this will make it easier for you to print out my recipes. Please let me know what you think about it in the comments. I'm going to give instructions with photos step by step but at the bottom you will find the printable recipe format. I used a 9-Inch Springform Pan for this cheesecake. I traced the circumference of the bottom of the pan onto parchment paper so that I could line the bottom. Press the crust into the pan evenly. Refrigerate. If your blueberries are frozen, rinse them in warm water, drain. Place in a pan, add 1 cup of water, and 16 dates. Bring to a boil and simmer until the mixture reduces to a thick compote – about twenty minutes. The mixture is thick enough when you scrape your spoon on the bottom of the pan and the mixture does not move quickly to fill the area you scraped. It will also have the consistency of thick jam. Place cashew nut yogurt into a bowl. Add in the lemon juice and mix. Using a mixer or whisk, drizzle in the coconut oil and blend thoroughly. Place 2-1/2 cups of cashew nut yogurt mixture on top of the crust in the springform pan. Place in freezer for two hours or until layer is solid. Whisk 3 tablespoons of blueberry filling into the remaining cashew nut yogurt and refrigerate for later use. When layer is solid, carefully spread blueberry filling (reserving 3 tablespoons if you need to make Blueberry Honey [affiliate link] Sauce). Once the blueberry filling is spread evenly, pour purple layer on top and spread evenly. Mix together to drizzle over individual slices of cheesecake. This is not necessary if your palate is adjusted to GAPS, although non-GAPSters may like the additional sweetener. Use your judgment. Place coconut cream into a chilled glass or stainless steel bowl (also chill your mixer's beaters) and whip until fluffy. Drizzle honey in, if desired and whip. Whipped coconut cream is pretty tasty without any sweetener, so again use your own judgment. Carefully remove the cheesecake from the springform pan. Last but not least, this optional step. Fill a cake decorating Pastry Bag with the coconut cream. Place in the freezer for about 15 minutes to firm it up just a bit. Decorate the cake as you wish. One of my GAPS friends asked about the coconut milk as canned coconut milk is on the “foods to avoid” list for full GAPS. The reason why we should avoid it is because it often contains guar gum. I have found a canned coconut milk that does not contain guar gum. It is the brand name Natural Value Coconut Milk. The next problem is the can lining does contain BPA. Gary, the owner of Natural Value talks about that in a post at his blog. 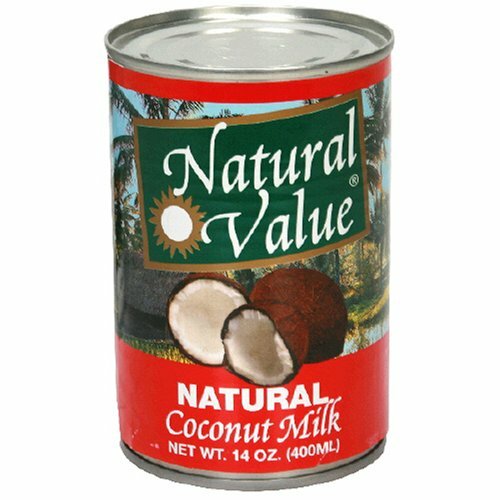 UPDATE: Natural Value canned coconut milk is now in BPA-free cans! If you wish to avoid the coconut cream altogether, another option for decoration is the Pink Fluff frosting in this post: Pink Blossom Mini Cupcakes. I would omit the cranberry/beets for coloring and just use egg whites and honey. Dairy-free, date-sweetened, GAPS legal cheesecake. Prepare Cashew Nut Yogurt (see recipe at Delicious Obsessions, link above). Place can of coconut milk in the refrigerator so that the coconut cream can harden. Line 9" springform pan with parchment paper. Pulse ½ cup of dates and 1-1/2 cups crispy pecans in a food processor. Press into the bottom of the springform pan. Prepare Blueberry filling, place 24 ounces of blueberries and remaining ½ cup of dates into a pan with 1 cup water. Bring to a boil and simmer for twenty minutes or until reduced to a thick jam-like consistency. Place in blender and blend until smooth. You may need to blend and stir frequently until the mixture is completely smooth. Place cashew nut yogurt in a bowl, add 4 tablespoons lemon juice and mix. Using a mixer or whisk, drizzle in melted room temperature coconut oil and blend thoroughly. Pour 2-1/2 cups of cashew nut yogurt into the springform pan on top of the crust. Place in freezer for two hours or until layer is solid. Whisk 3 tablespoons of blueberry filling into remaining cashew nut yogurt to make the purple layer. When bottom layer in freezer is solid, carefully spread blueberry filling layer. Top with the purple cashew nut yogurt. Cover and place in the freezer for at least four hours. Chill a glass or stainless steel bowl, and your mixer's beaters. Open the can of coconut milk, remove coconut cream and place in the chilled bowl. Drizzle in 2 tablespoons honey, whip until creamy. Make the blueberry honey sauce by adding 3 tablespoons of the blueberry filling to 6 tablespoons of honey and mixing until smooth. Fill pastry bag with chilled whipped coconut cream. Decorate the cheesecake as you prefer. You may also dollop whipped coconut cream on each slice instead of decorating. Allow cheesecake to remain in the freezer for at least four hours before serving. If cheesecake becomes solidly frozne, remove from freezer at least two hours before serving and allow to sit at room temperature. For best results, slice and place individual pieces on plates when the cheesecake has been thawing for one hour. Serve within one hour, or refrigerate. Categories: Cake, Dessert, GAPS Diet Recipes, Pie Tags: blueberries. coconut cream, cashew yogurt, lemon juice | 4 comments - be the next! This looks really good Starlene. I am thinking about splurging on my birthday and may try this. At least the cashew yogurt part. Yes, I know this! I should update this post! Thanks, Mary! Do you like their product?